OccuHealth Solutions offers a complete solution to anyone who would like to conduct drug and alcohol testing. OHS also provides a wide selection of Certification Training Courses. If you would like to conduct drug, and/or alcohol testing, contact OccuHeath for a complete solution for your instrumentation and training needs. 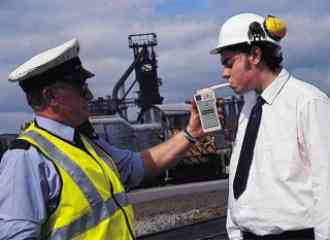 OHS can provide you with a variety of Department of Transportation (DOT) approved breath alcohol testing instruments and DOT approved Breath Alcohol Technician and BAT Instructor Training and Certification. 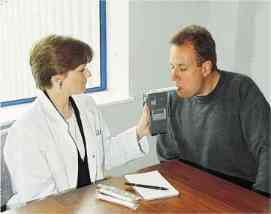 We also provide urine Drug Collector Training and Certification, as well as several other types of required training. OHS can assist you in starting your own business with a small investment of time and money. Contact OHS for details and the answers to your questions. OHS offers a very economical, yet comprehensive, package that will assist you in starting your own business very quickly. We have provided our professional services to a large number of people who are running their own profitable, successful, and professional businesses. OHS is proud of the fact that we not only provided the initial services that helped many of them to start their business, but we also continue to provide support whenever we can be of assistance to our customers. OccuHealth Solutions, Inc. hopes that you will find this site informative and interesting. If you have any questions, comments, or if we can be of any assistance, then we look forward to hearing from you.